The first time Steve Ramirez saw the ADAM5 in action, he was stunned. “I had a vision of moving into the future,” he says. 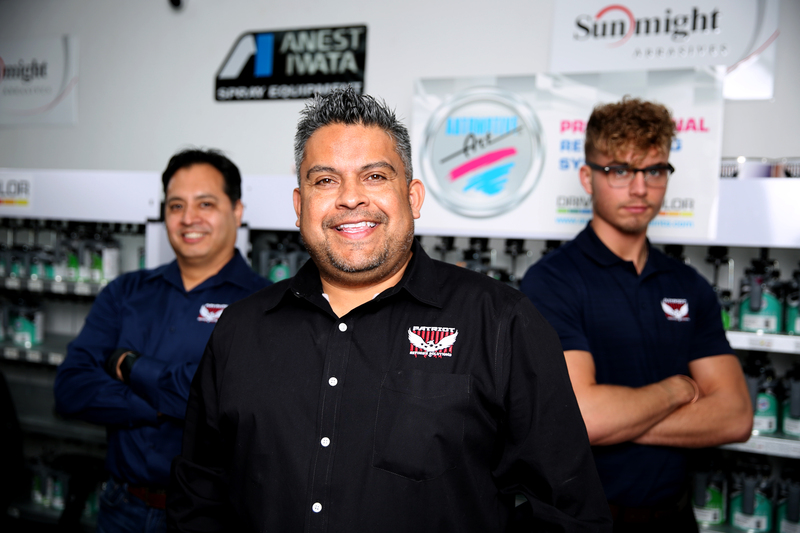 Ramirez owns Patriot Refinish Solutions, an automotive paint distributor in the Dallas-Fort Worth area of Texas, and first saw the ADAM5 at the annual SEMA Show in Las Vegas. The ADAM5 has five cameras and was designed in conjunction with Automotive Art’s Motomix Plus Color Software; together, the total system removes any guesswork in fewer steps with greater accuracy, and the five-camera breakthrough allows the ADAM5 to match any metallic, pearl, or xirallic with pinpoint accuracy. The real magic, however, is in its color correction ability. 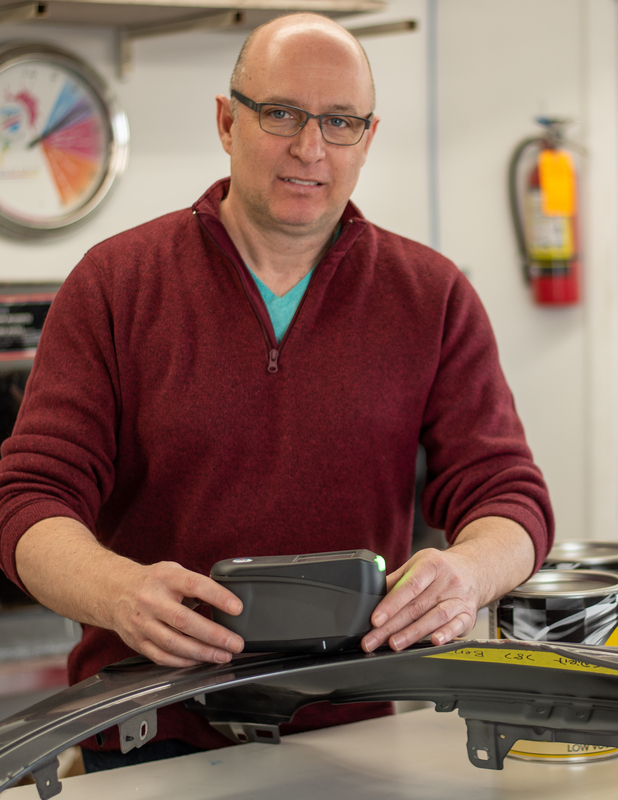 “That’s what sets ADAM5 apart from the rest,” says Dereck Foster, founder of Automotive Art Paints. It’s a powerful tool for Ramirez, who has one goal: provide a higher-quality service than his competitors. With the ADAM5, he feels he has the edge. What used to take four or five hours now takes 15 minutes. The ADAM5 is less a tool than a handheld talisman of change. And it all comes back to its ability to quickly and effectively adjust color formulas. “One guy walked in and said, ‘I’ll be back in four hours,’ and I said, ‘No, we’ll have it in five minutes.’ We mixed it, presented it, and he’s now a return customer,” he says. 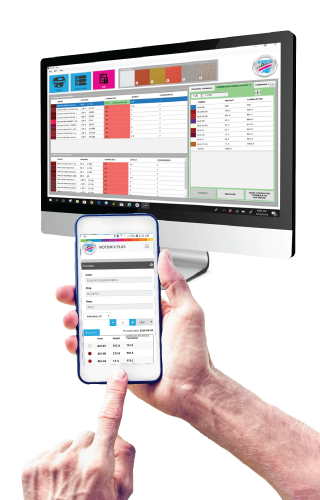 The cloud-based link to Motomix Plus Color Software allows his team to scan a sample, select the appropriate formula, adjust that formula to produce the best possible match, mix the paint, and keep moving. “The software is very user-friendly. When I hear my competition is out there doing what they’re doing, I don’t care because I’ve got this tool—I’m ready to go,” Ramirez says. As Automotive Art continues to evolve the ADAM5, Ramirez is ready to evolve with it. “Paint shops could increase their business and profitability more than they could imagine,” he says. Litwin has seen it all before. He’s the owner of Litwin Paints & Supplies, a distributor of 30+ years in Cleveland, Ohio. “I tell them, ‘No, this one does.’ And then I prove it to ‘em,” he says. Litwin is impressed with every aspect of the ADAM5—particularly the camera. Litwin pauses. He’s been around a long time and has serviced customers old and new. For his longtime customers, the results speak for themselves. Automotive Art already has one of the best color-matching systems, and with the addition of the ADAM5 Spectro, they are in a league all by themselves. “Shops absolutely get it,” he says. 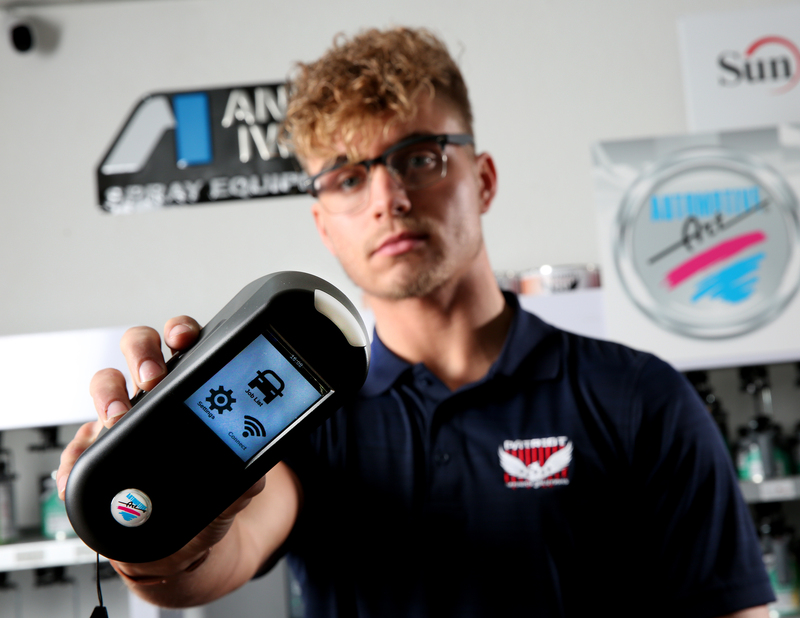 His advice for suppliers, owners and technicians? The future is here and we’re all hurtling into it. Common sense tools such as the ADAM5 can make tomorrow brighter—even if it’s a motorcycle coated in vantablack.